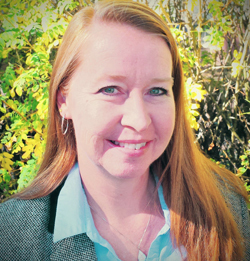 Andrea Burrows is an assistant professor in the Secondary Education Department at the University of Wyoming (UW) in the College of Education. She was awarded the UW College of Education (CoEd) Mary Garland Early Career Fellowship in 2013, the UW CoEd Faculty Award for Outstanding Research and Scholarship in 2015, and the UW CoEd Faculty Award for Outstanding Service to the Education Profession in 2016. She received her EdD in Curriculum and Instruction with Science Specialization from the University of Cincinnati. Before beginning her work in higher education, she taught high school and middle school science (biology, integrated science, physical science, geology, and research) for 12 years in Florida and Virginia. Since beginning at UW, she has written, implemented, evaluated, and/or been involved with 30 unique grants, and served as the primary investigator (PI), CoPi, or Senior Personnel to gather data on 16 awarded grants from this pool. Burrows’ research agenda – STEM educational partnerships – is aligned with her grant work. Her research agenda is composed of a unified STEM education partnership structure and connects educational research to real-world practices through four strands including: 1) STEM Integration; 2) in-service teacher professional development; 3) engineering education; and 4) preservice teacher education. The core of her research agenda is to deepen STEM partnership involvement and understanding through STEM discipline integration (often regarded as iSTEM) with in-service teacher professional development and preservice teacher coursework. Burrows’ current body of published work includes 15 STEM educational partnership peer-reviewed journal articles, one book chapter, three refereed publications (in the IEEE technical newsletter), and more under review. Her publications appear in leading international journals, such as the Journal of Chemical Education (Journal h5 index – 23) and Educational Action Research (Journal h5 index – 16). In addition, since 2011 she contributed seven national/international conference papers (e.g., ASEE, SITE), 27 national/international conference presentations (e.g., AERA, ASTE), 15 state/local conference presentations, and two invited talks. Andrea Burrows welcomes your manuscripts that report on technology integration as it applies to science teacher education. She also welcomes new reviewers as well as manuscripts.